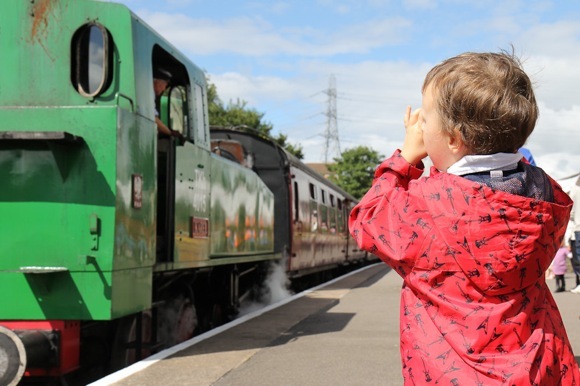 I was due for my midweek run yesterday, but I got a call from some friends who were going to go ride on a steam train with their two boys — would I like to join them? It turned out that the steam train was on the Avon Valley line, starting from Bitton, which is, handily, on the Bristol and Bath Railway cycle path. Trying not to think about how far along the path Bitton is — since I started getting on my bike again recently, I’ve probably not done more than five miles in the course of a single day — I got on my bike and set off. We had lunch in a good old‐fashioned compartment as we rode along the little railway line, then had a cup of tea at Bitton. And then I rode back, which was less fun that the ride out. My knees, especially my right knee, clearly don’t like long cycle rides without much practice.